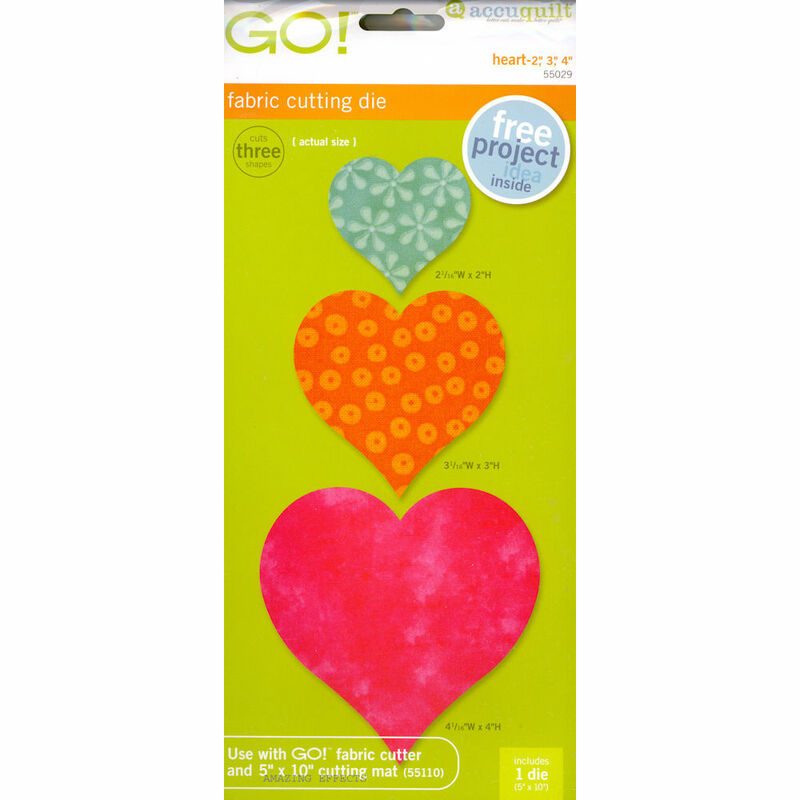 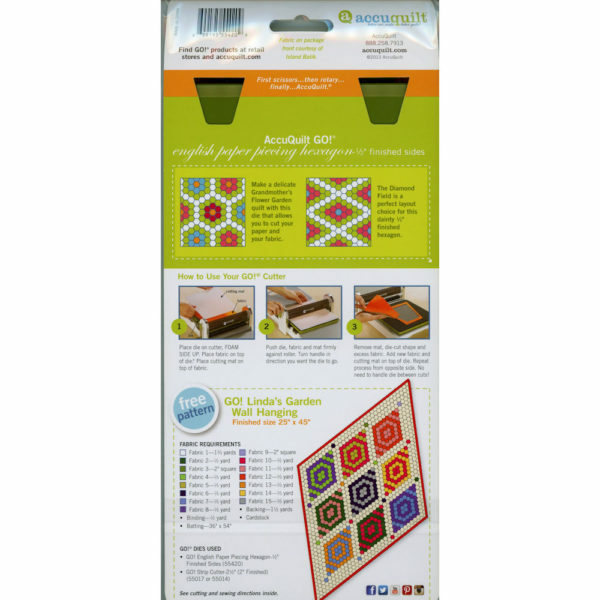 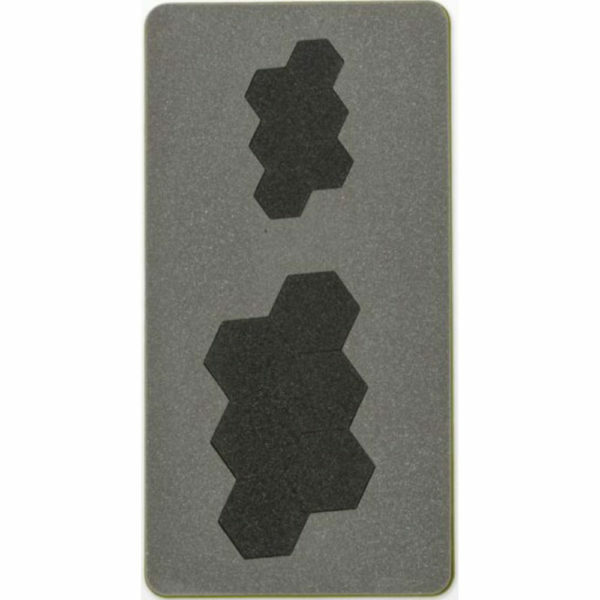 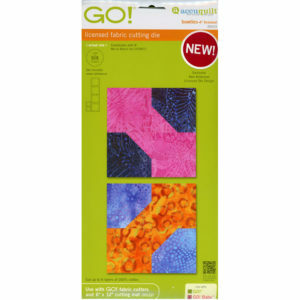 ACCUQUILT ENGLISH PAPER PIECING FABRIC CUTTING DIE : Package includes a die that makes hexagon paper piecing shapes. Finished size is 1/2″ hexagon finished sides. 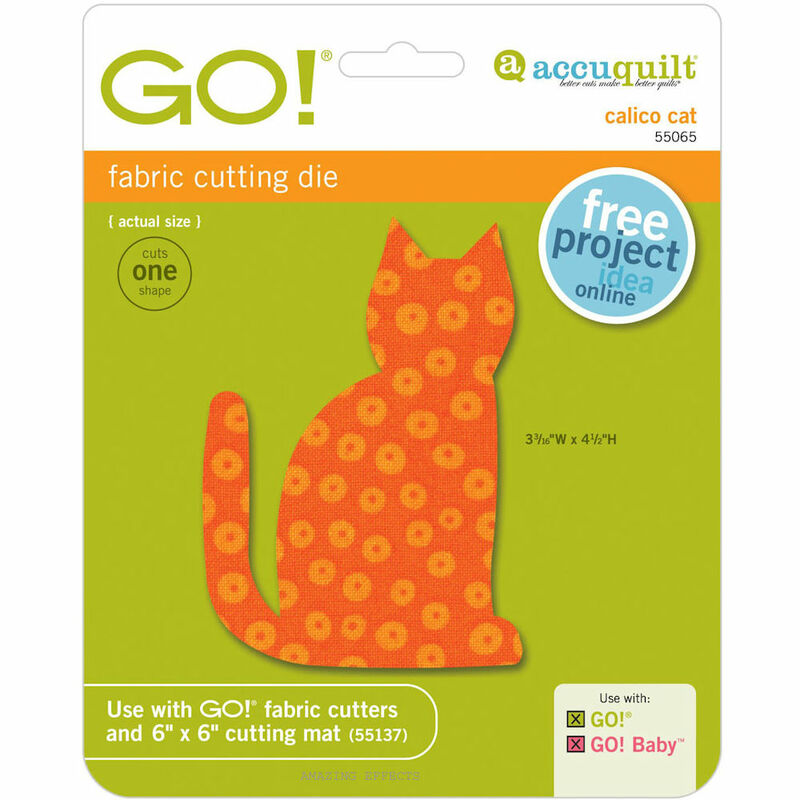 Cuts 12 shapes. 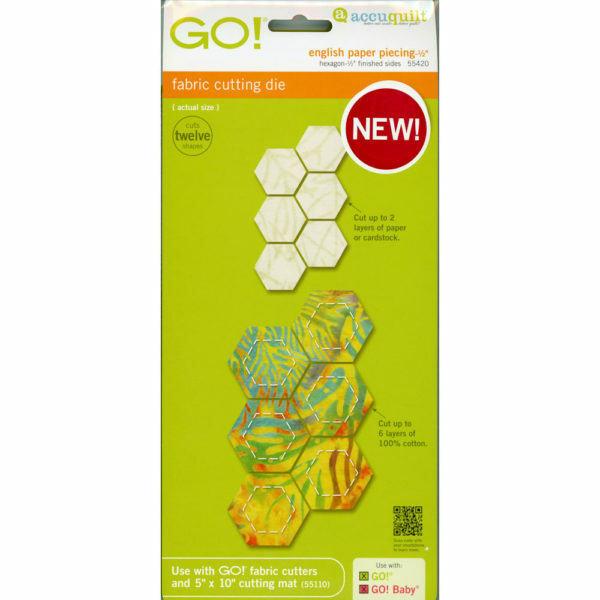 English Paper Piecing Die is new. Stored and shipped from a smoke-free environment. 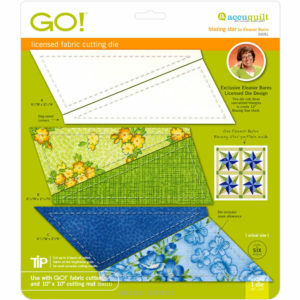 You are buying the English Paper Piecing die only, not the finished item.